I never met my maternal grandfather, Frank Wiley, because he died two years before I was born. But I have a good sense of who he was thanks to stories from family members, especially his oldest daughter. My mother describes a charming 'genius' who excelled at math and baseball. He was so good with numbers, that he helped neighbors and friends with their taxes. Despite the intellect and promise, he couldn't control his demons -- and eventually they would kill him. Booze led to estrangement, which led to chronic homelessness. In the mid-1970s, and toward the end of his life, he spent many days and nights at a homeless shelter in downtown Columbia, South Carolina. Since I started in journalism, telling the stories of those who wind up living on the streets has been a passion. As a local news reporter and anchor at WIS-TV in my hometown -- also Columbia, South Carolina -- at the height of a serious public debate about what to do about a then-growing problem in the state capital, I spent 36 hours living on the streets. 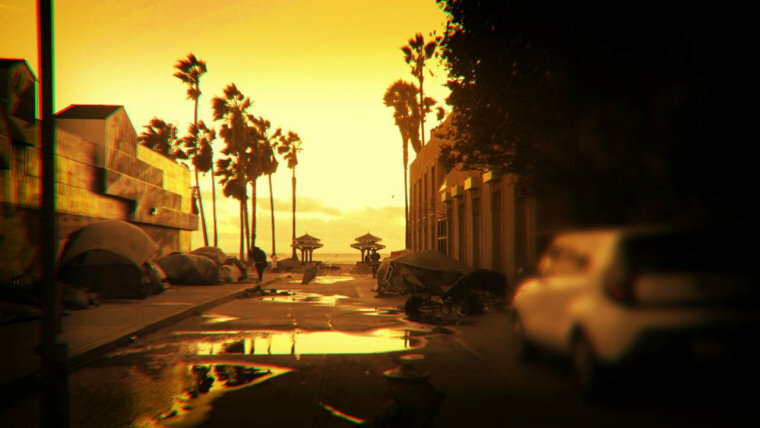 We wanted to really show viewers what it's like to experience homelessness. Yes, many of the people we met fit the stereotypes so many have about those without permanent roofs and walls. But many others did not. Unemployment. Underemployment. Separation from family. Untreated and/or undiagnosed mental illness. It was, to that point, the assignment that had the greatest impact on me. So much of what I thought I knew about the causes of, and solutions to, homelessness was proven wrong. Years later, I moved to Washington, DC to work for the NBC owned station there, and found a woman who dispelled even more misconceptions. Her name was Carol Dostert and she went from shaping young minds as a school principal, to sleeping on the streets in the span of less than two years. She was well educated and reportedly didn't struggle with the vices that lead so many to homelessness. She also just didn't "look homeless"-- a 30-something white woman from a good family who caught too many bad breaks too close together. Perhaps unsurprisingly, my first hour of Dateline is devoted to one of our country's most persistent and complicated problems -- homelessness. For the past few months, I've been traveling back and forth to the Los Angeles area, because there's no place in America where the crisis of homelessness is worse. I met Priscilla Coughran, a mother of two young boys, who works at a health clinic for the homeless. Like millions of Americans with full-time jobs, Priscilla and her husband Ryan, a stay at home father, lived paycheck to paycheck. When their landlord raised the rent, they couldn't afford their apartment anymore. In a county facing a shortage of more than 500,000 affordable apartments for the homeless, Priscilla and Ryan had few options. They spent months hiding their homelessness from everyone, and spent nights in their car and in motels. It wasn’t until Priscilla broke down at work that her boss learned the truth. I met a guy named Christopher Mack, a community outreach worker, who introduced me to Skid Row, one of our country's greatest shames. Mack marches through the blocks of city streets filled with tents and tarps trying to connect the thousands living on the streets with help and services. I asked him if walking the 50 square blocks ever makes him sad or angry. He told me he used to cry because people shouldn't live like this anywhere, especially in our country and especially in L.A. Many walk around thinking homelessness isn’t something they have to worry about – if they think about it at all. But the truth is: It can happen to anyone. A school principal. A medical assistant at a health clinic for the homeless. My own grandfather. I hope you will join me this Sunday at 7/6c for "City of Angels," an hour-long Dateline special. We're calling it City of Angels because, in addition to taking a hard look at how we got here, we're going to give you reasons to be hopeful about solutions. There are so many angels devoting their lives to helping solve homelessness. It moved me. I think it will move you too.